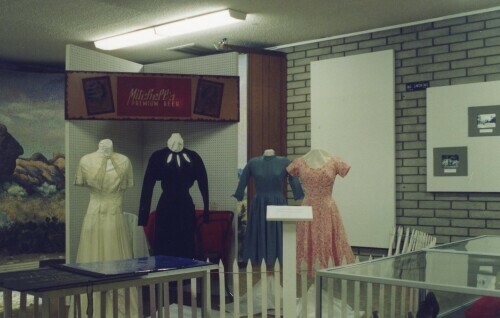 Various clothing from a Night on the Town exhibit. 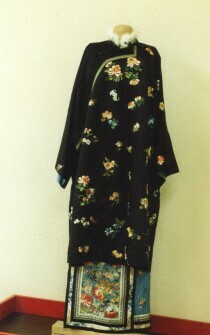 Circa 1920s-1940s. This wagon was most likely driven by horse, oxen or other large animals to transport various farming goods. 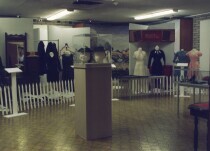 Various hats and clothing from A Night on the Town exhibit. 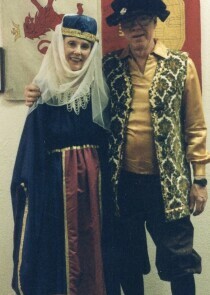 Circa 1920s-1940s. 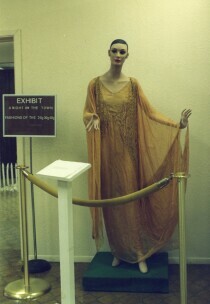 Outfit on Display from exhibit: A Night on the Town. Circa 1920s-1940s. 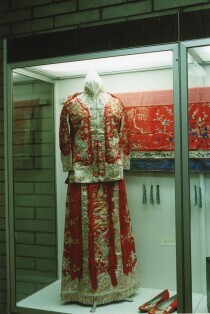 Chinese dress featured in China in El Paso exhibit. 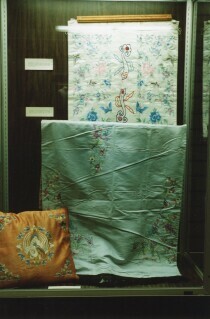 Chinese fabric on display in China in El Paso exhibit. 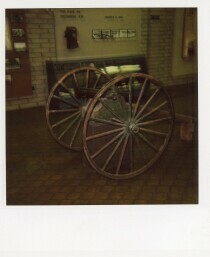 Boy Scouts exhibit at the Cavalry Museum circa 1998.